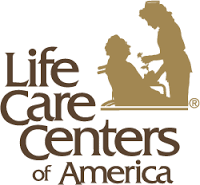 Life Care Centers of America (“LCCA”), and its owner Forrest Preston, have agreed to pay $145 million to settle a government lawsuit alleging that LCCA violated the False Claims Act by knowingly causing their nursing homes to submit false claims for rehabilitation therapy services that were not reasonable or necessary. The Tennessee based company, owns and operates more than 200 nursing homes across the United States. Forbes estimates that Forrest Preston, who is sole owner of the company, has a net worth of around $1.4 billion. The lawsuit alleged that LCCA committed fraud by falsely billing Medicare and TRICARE for medical services that were provided to patients who were ineligible to receive them. Medicare reimburses nursing homes at a daily rate for the health care services that they provide to Medicare patients. This daily rate is based on the level of care that is provided to a patient, as well as the amount of time that a patient spends receiving that care. Further, the Complaint contended that LCCA pressured their employees to provide the maximum level of care to their Medicare and TRICARE beneficiaries, despite the fact that many of these patients did not need these services, in an effort to increase the daily rate they billed to the government. The Department of Justice argued that this excessive level of medical attention, and increased length of stay, was harmful to these patients, and that LCCA’s financial interests were prioritized over the quality of care that was provided to their patients. The settlement ends eight years of litigation in two consolidated False Claims Act lawsuits filed separately by a former nurse and a therapist employed at LCCA. The False Claims Act allows private citizens to sue those that commit fraud against government programs. Moreover, the False Claims Act contains qui tam, or whistleblower, provisions. Qui tam is a unique mechanism in the law that allows citizens with evidence of fraud against government contracts and programs to sue, on behalf of the government, in order to recover the stolen funds. In compensation for the risk and effort of filing a qui tam case, the whistleblower or “relator” may be awarded a portion of the funds recovered, typically between 15 and 25 percent. In this case, Justice Department prosecutors and private attorneys from the law firm of Finch McCraine in Atlanta, GA worked side by-side to prepare the case for trial, in a “public-private partnership” in which Finch McCraine attorneys assisted the Justice Department in holding LCCA accountable for its fraud directed at taxpayer funds. “Second, to remove any possibility that Life Care might believe it could escape paying a judgment, our firm gathered evidence to enable the government to recover the Medicare funds that had been moved from Life Care to companies and individuals affiliated with Life Care. The case settled shortly after the government, with our assistance, sued Life Care’s owner to reach the assets transferred from Life Care, by using legal theories our firm has used successfully in other fraud cases,” Sullivan added. In addition to the financial settlement that must be paid by LCCA, the company has also entered into a five-year chain-wide “corporate integrity agreement” with the Department of Health and Human Services Office of Inspector General that requires an independent review organization to annually assess the medical necessity and appropriateness of therapy services billed to Medicare.